Mudassar Aziz relocates the action to China for his follow-up to ‘Happy Bhag Jayegi’. Happy is still running, and this time, she has no destination in sight. 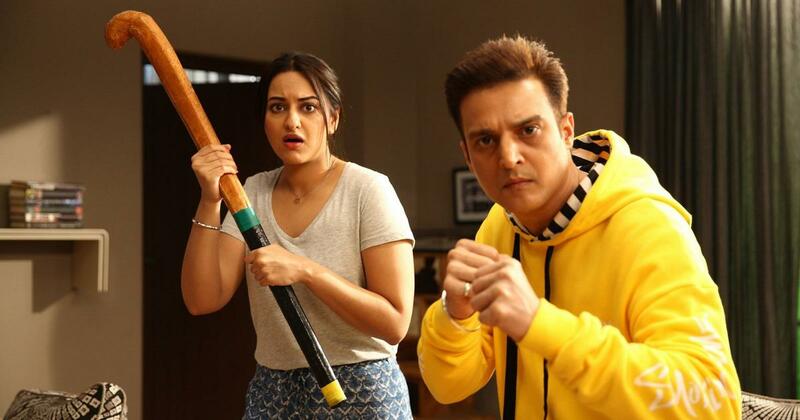 Mudassar Aziz’s superfluous follow-up to his smart and hilarious 2016 comedy Happy Bhag Jayegi introduces a second Happy and relocates the action from India and Pakistan to China. The subcontinent is a big enough place, and perhaps various Happys can keep turning up in any one of India’s neighbours, trying to justify a franchise that didn’t exist in the first place. To make sense of the events, it helps to have watched the original film. 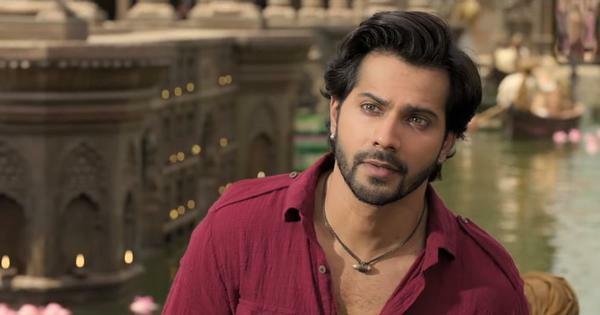 In the 2016 production, Happy (Diana Penty) flees her wedding to Daman Singh Bagga (Jimmy Sheirgill) and accidentally lands up in Lahore while trying to make her way to her lover, Guddu (Ali Fazal). As the adventure plays out on both sides of the border, Pakistani politician Bilal (Abhay Deol) and police officer Usman Afridi (Piyush Mishra) help Happy reunite with Guddu. The new movie has some of the actors from the first film, and it attempts to replicate the mix of screwball comedy, character study and asides on geopolitical concerns. Happy (Sonakshi Sinha) is mistaken for the other Happy and kidnapped in Shanghai by Chinese gangsters led by the Hindi-speaking Chang (Jason Tham). Springing to her rescue is Indian embassy official Khushwant (Jassi Gill). Meanwhile, the first Happy and her newly minted groom Guddu are taking in the sights in Shanghai, unaware of the mayhem they have caused. Sinha’s Happy is ostensibly in China for a teaching assignment, but she is actually on the trail of Aman (Aparshakti Khurana), who ditched her before her wedding in the same way that the other Happy had fled her nuptials with Daman. In the sequel, Daman is abducted from the back of his wedding horse along with Usman Afridi and brought to China to ensure that a lucrative deal between Chinese and Pakistani interests will go through. The only conceivable reasons to bring Daman and Usman together and keep out Bilal are that Abhay Deol wasn’t available the second time round, and Aziz cannot resist Pakistan-baiting jokes. Apart from digs at India’s unfriendly neighbour, Happy Phirr Bhag Jayegi tries to mine humour out of a gay character and casually racist observations on how all Chinese people look alike and have strange names (examples: “Makachu” and “Fa Ku”). Some of the Chinese people survive the stereotyping. One person helps Sinha’s Happy out of a spot because he is a fan of Dangal, which was a hit in China too. Happy Phirr Bhag Jayegi (2018). The frenetically paced plot makes even less sense the second time round, and the humour is more scattershot and even desperate in places. The best jokes are those that have been recycled or updated from the 2016 movie. Daman’s standard response to his wedding-day humiliation, “Card bat gaye hain” becomes “Ghodi chad gaya tha main.” Unlike some of the other gags, this one doesn’t wear thin, but it does serve as a reminder that the new production is always struggling under the shadow cast by the original. Jimmy Sheirgill and Piyush Mishra have as much fun the second time round, and Jassi Gill joins in too. Like in the 2016 film, the men turn out to be the scene-stealers. Sonakshi Sinha’s Happy has a bigger role than Diana Penty’s character, but she misses her beat ever so often and ends up being loud and unengaging. Even Jason Tham, the Chinese man with better Hindi-language skills than many Indians, and Denzel Smith, as the half-Chinese and half-Pakistani Adnan who is trying to coach his employees in the pleasures of Urdu poetry and biryani, fare better than Sinha. Ali Fazal, Diana Penty, Sonakshi Sinha and Jassi Gill in Happy Phirr Bhag Jayegi. Courtesy Colour Yellow/Eros.